Recently, the Dr. Oz Show featured the blockbuster amino acid, Glutathione. He highlighted the fact that Glutathione is the BEST defense against cellular damage, aging and a host of diseases. Without this cleansing, every cell in your body would die prematurely from its own waste matter. Isn’t that a lovely thought? The more I learn about this wonder nutrient, the more I’m convinced it truly is a secret savior. 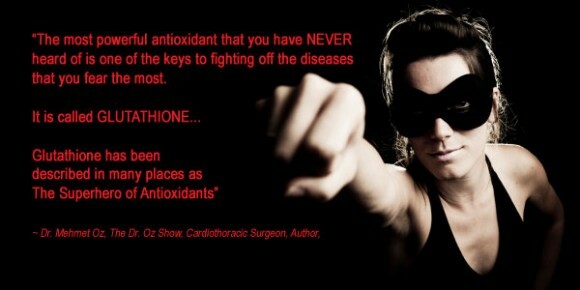 Dr. Oz considers Glutathione to be the “Super Hero” of Antioxidants. 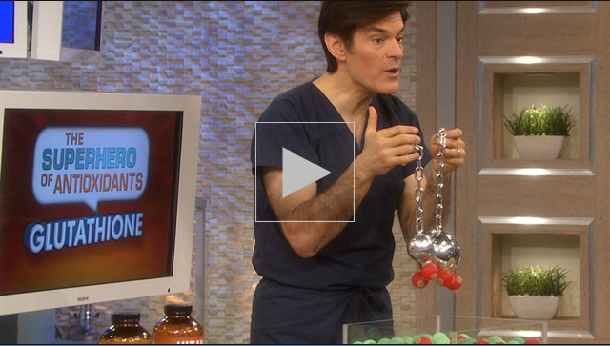 Watch and listen to Dr. Oz explain the spectacular, superhero antioxidant – Glutathione! 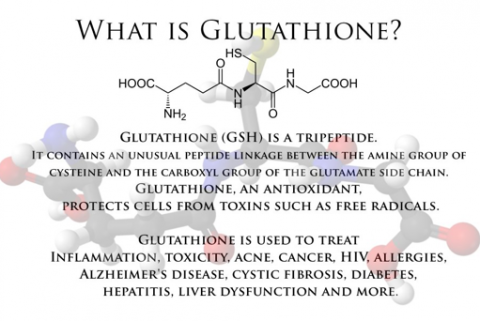 Virtually everyone who is sick or suffers from a chronic disease is deficient in Glutathione. Read that sentence again. Put your hand over both sides of this picture and imagine your skin actually looking THIS YOUNG! 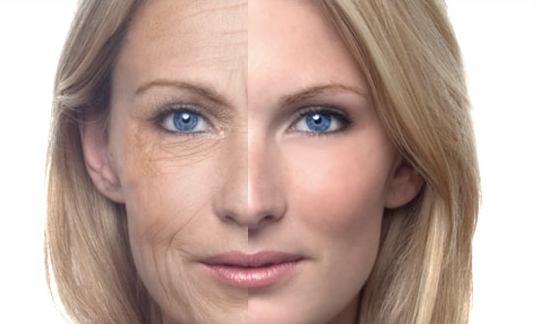 How many anti-aging creams, ointments, peels, or exfoliators have you used over the years and have actually given you the youthful skin on the right? What if I told you the only product you need for “right side” skin, is found in the liver of a shark – Crazy? Not if you knew that sharks don’t get cancer and their skin doesn’t age! Of course, Sharks don’t spend their time outside in the sun’s damaging rays, but there is another reason for their incredible resilience. This miraculous “Shark Liver Oil” has not only been found to be highly effective in fighting, preventing and relieving symptoms of disease, this superior gift from the sea has the ability to renew aging skin, potentially reversing the outward signs of aging. “The most wonderful thing happened to me the other day. 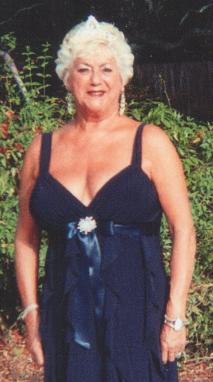 I went to see my doctor for a regular check on my diabetes and he said “Claire you look wonderful for 71 and in fact, you look wonderful for 61”. However, I’ve been using Shark Oil Squalene for about 8 years now and I honestly think it has something to do with my complexion. I have no wrinkles on my face at all. I am a sun worshiper, and use the oil every day before I go out and after showering. People my age and younger comment on my face all the time and I tell them about the shark oil. Then I tell them I have a son who’s 54, daughter 53, son 48, and son 44, but no one believes me. Why would I lie about my age? I’m proud of it and how I look. Most of my friends are in there 40’s, 50’s and 60’s. My husband is 62. I think I’m getting younger.